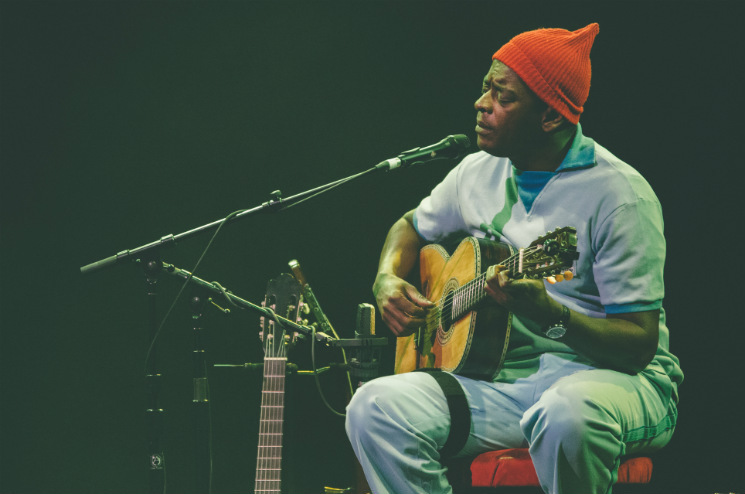 It was only last fall that Seu Jorge took his Portuguese-language David Bowie covers from Wes Anderson's The Life Aquatic around North America, but for those who missed out on his most recent tour, the man has announced mapped out a return trek that will take place this fall. Jorge has added a number of dates throughout September to his previously released June itinerary. After taking July and August off, he'll start things up again in Phoenix, AZ, before playing 20 dates the rest of the month. Having already announced shows in Winnipeg and Vancouver, Jorge has worked dates in both Montreal and Toronto into his itinerary. He'll play Toronto's legendary Massey Hall on September 19 before taking the stage at Montreal's St. Denis Theatre the following evening. Tickets for the September run, minus the dates in Salt Lake City and Indianapolis, will go on sale May 19 at 10 a.m. local time. Find Jorge's expanded tour itinerary below.